I love old ruins. I love exploring them and photographing them. This is a photograph taken at Sweetwater Creek State Park only 15 miles from downtown Atlanta. I took my dog, Jack Bauer, for a walk there one morning early after dropping my daughter at the airport. It was an incredibly hot and humid morning, and the clouds were a blessing in so many ways - relief from the upcoming sun and wonderful texture for the sky. 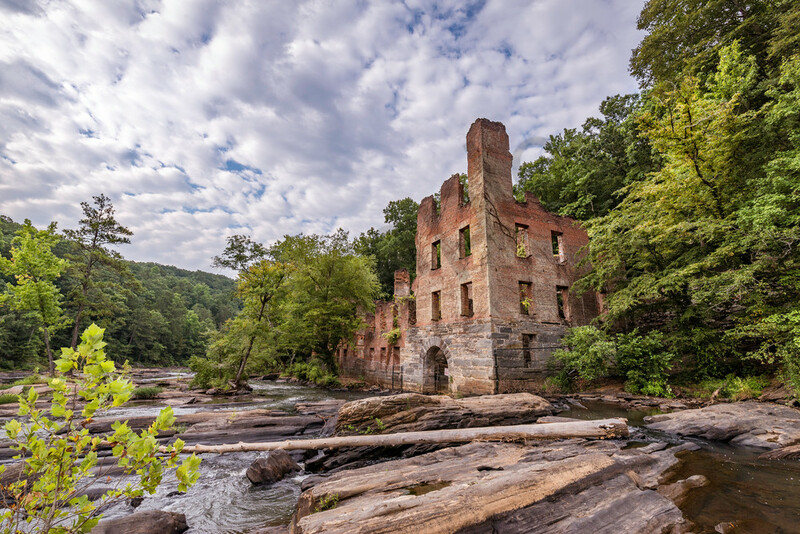 The creek with its large flat rocks provided the perfect foreground for the towering ruins of the New Manchester Mill that was burned down during the Civil War.